You have paid dues for the current year and have prepaid for all the years events. You are a paid member of either PPANI and/or PPA for the current year. Registration is paying for the program only. This will be a PPA Continuing Education Class. You are eligible to receive a service merit for full attendance. 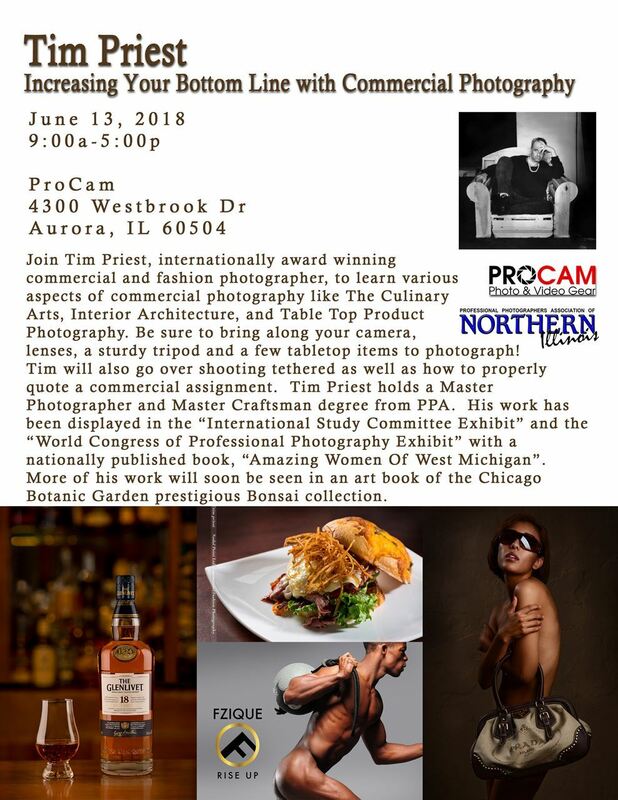 Join Tim Priest, internationally award winning commercial and fashion photographer, to learn various aspects of commercial photography like The Culinary Arts, Interior Architecture, and Table Top Product Photography.